SAN DIEGO - Navy Secretary Ray Mabus has squared off against Marine Corps leaders who resisted recruiting women for all combat jobs. On Tuesday, he takes his case to a broader audience at Camp Pendleton, California. 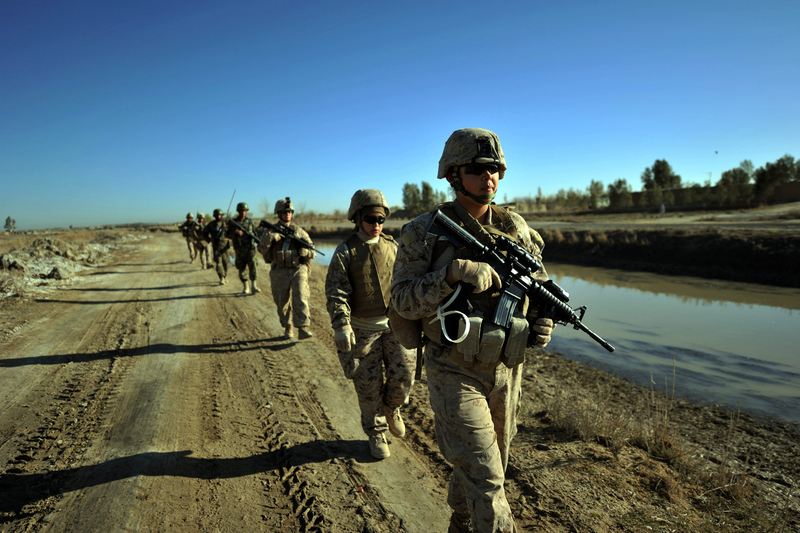 Marine Corps leaders had sought to keep certain infantry and combat jobs closed to women, citing studies showing combined-gender units are not as effective as male-only units. Defense Secretary Ash Carter overruled them in December, ordering all positions open to women. Mabus, who sided with the defense secretary against Marine Corps brass, will address about 300 leaders from the 1st Marine Expeditionary Force to "discuss his intent and expectations for gender integration," according to a Marines press release that describes the forum as a town hall setting. He has already visited Marines bases at Camp Lejeune, North Carolina, and Quantico, Virginia, to tackle the topic. Mabus, a former Democratic governor of Mississippi, faces a potentially skeptical audience. Marine Gen. Robert Neller made clear his reservations in February even as the Marine Corps began to lay out recruitment plans. "We have a decision and we're in the process of moving out," Neller, the Marine Corps commandant, told senators. "We will see where the chips fall. And, again, our hope is that everyone will be successful. But hope is not a course of action on the battlefield." Neller told senators that that Marine Corps testing revealed two significant differences between all-male units and those with men and women. He said all-male units were able to better march long distances carrying heavy loads and also were able to fire their weapons more accurately after marching over distance. Asked to list his concerns, Neller said he worried about retention, injury rates and unit effectiveness. The defense sectary has said moving women into combat jobs will present challenges but that the armed forces can no longer afford to exclude half of the population from grueling jobs. He said that any man or woman who meets the standards should be able to serve.